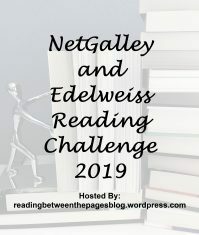 FRIDAY FINDS is originally featured at Should Be Reading and showcases the most interesting books I’ve encountered during the last week and have added to my neverending TBR list on Goodreads. 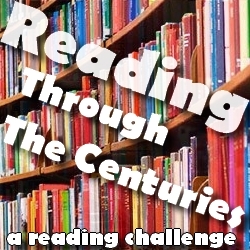 I’m still on a book buying ban, but I cannot help adding new titles to my virtual TBR list anyway! 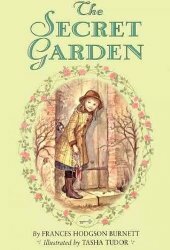 The Secret Garden is one of those books I’ve been wanting to read for ages, but never made it to the top of my TBR pile. The TBR Pile Challenge made me finally pick up a copy of this classic written by Frances Hodgson Burnett, and I’m glad I did. It’s an endearing story about two lonely and spoiled children who slowly discover how much better life can be if they decide to explore the gardens. Dickon is an adorable character with his love for animals and even though I had some difficulties understanding the Yorkshire accent at some points, I still enjoyed reading it. A great story for children that will hopefully inspire them to explore the world outside! Mary Lennox grew up in India to be a lonely, ugly and spoiled child with a temper so bad not even her parents wants to see her. An outbreak of cholera leaves her an orphan, and she is sent to her uncle’s house on the Yorkshire Moors. Slowly Mary comes to understand Yorkshire is very much different from India, and she has to start doing things on her own. She starts exploring the house and the gardens, but both are full of secrets… Her uncle keeps himself locked up after his wife died, and a lot of the nearly one hundred rooms in the mansion are locked up as well. And at night she sometimes hears the sound of another child crying… Who is making that sound? And why is one of the gardens locked? After reading American Gods and The Graveyard Book last year, I instantly became a Neil Gaiman fan. His prose is easy to read and highly enjoyable, and I like the magical realism, myths and fantasy elements he incorporates into his stories. The Ocean At The End Of The Lane is no exception. While this novel has a slightly different feel than the other two I’ve mentioned, I still highly enjoyed this story. I haven’t read many books which fall under the magical realism genre other than those by Gabriel Garcia Marquez and Isabel Allende, so I’m pleasantly surprised this novel ended up being just as good. It’s a modern fairy tale story full of magic that will end up enchanting you completely if you let it. The unnamed male character travels back to his childhood and back to a world where everything seems possible. 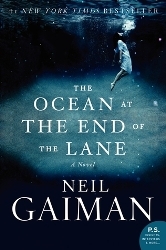 Warning, The Ocean At The End Of The Lane is actually quite a dark and haunting story that is not really suited for little ones… But it will transport you back to your own childhood and the brilliant prose makes you read this story like a dream. 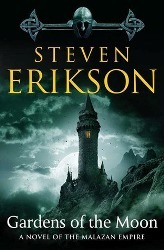 Definitely recommended to fantasy fans! A man that had visited his house all those forty year ago ended up killing himself in a stolen car at the end of the lane, and soon strange things are starting to happen. Something scary and dark was unleashed as the man died, and the little boy couldn’t understand what was really happening. But little Lettie and her family did know, and they decide to get rid of the darkness… Although that might not be that easy. 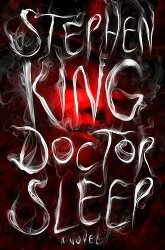 I’ve started reading Doctor Sleep by Stephen King the other day. I loved reading The Shining last year, so I’m excited to be reading the sequel. So far it’s living up to expectations! 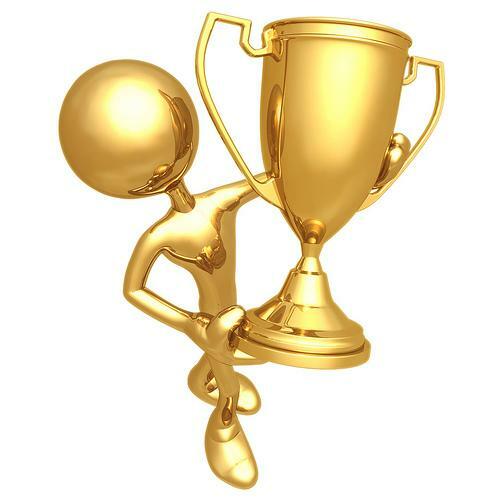 Michelle at The Writing Hufflepuff had the great idea to host The Book Awards; an award show ‘like the Oscars, but for books’! 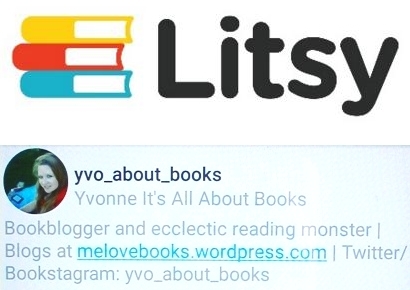 Please check out her blog and the award post to find out all about it and nominate your own favorite books! I’ve decided to put together my own little post with nominations for a selection of her categories (mostly genres). 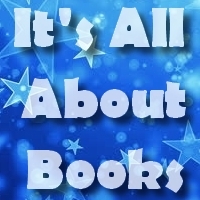 I’ve included a short blurb from Goodreads that will take you straight to the book’s Goodreads page! And now *drumroll* it is time to start nominating!